It is said that originally it was to thank god (ancestors) for the harvest of rice, and to pray for another good harvest to come the following year. 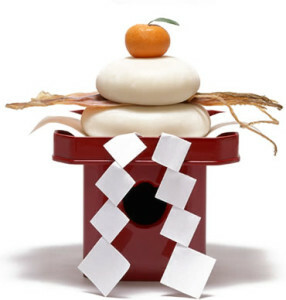 Omochi signifies a connection with god and has been used in Shinto rites, but it also had social significance. 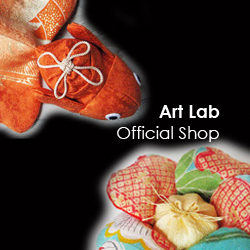 In the past, mochi were exchanged as gifts in annual events. In some cases it had the purpose of informing neighbors about one’s financial or familial conditions. 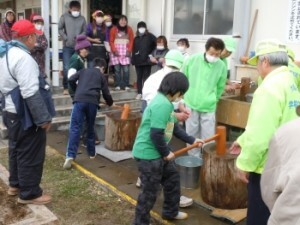 In modern society, there are fewer occasions for people to gather in one place, but sometimes when large houses are newly built, customs of tossing mochi and treating neighbors are performed at framework raising ceremonies. 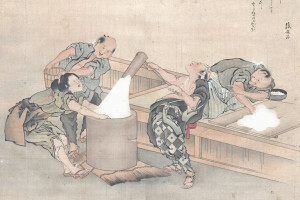 Omochi plays an important role of joining communities in Japan.Mochi-making events, which are occasionally held within communities even now, are valuable occasions where everyone eats the same thing and interacts with neighbors.